Eddie Dorohoy with the Montreal Canadiens (above) and as a member of the 1950-51 Victoria Cougars (below). Of all the attributes Eddie Dorohoy brought to the rink — a scoring touch, a pugnacious disposition, a keen desire to win — the one for which he gained his reputation was a quick tongue. He was aged 19 when he broke in with the Montreal Canadiens, displaying a cockiness not appreciated by older teammates. “When I was a rookie I didn’t have so much to say,” 33-year-old veteran Murph Chamberlain told the brash newcomer. This not so subtle critique of the coach’s judgment led to his demotion to the minors, where he would spend the following 16 seasons, never again to enjoy a spot on an National Hockey League roster. One of five children born to Mary and George Dorohoy, he learned to play shinny on Seven Persons Creek near his home at Medicine Hat, Alta. The early introduction to hockey came without formal instruction and he would display a choppy skating technique, owing more to running than gliding, throughout his career. As a cadet, 14-year-old Eddie earned a favourable write-up in Alberta newspapers for the stentorian tones with which he shouted instructions to non-commissioned officers training at Camp Sarcee, near Calgary, in 1943. As a junior player with the Lethbridge Native Sons, he played wing on what became the highest-scoring line in all of junior hockey in the 1947-48 season. The 5-foot-9, 155-pound forward led his league in assists. Lethbridge defeated the Moose Jaw (Sask.) Canucks to face the Port Arthur (Ont.) Bruins for the Abbott Cup, emblematic of Western Canadian junior hockey supremacy. Mr. Dorohoy suffered a leg injuring midway through the series, though his coach insisted he dress for Game 7, which was played at Maple Leaf Gardens in Toronto as a neutral site. “I figured the team would get a life with him out there,” Lethbridge coach Scotty Munro said after the game. Dorohoy’s sore knee was frozen and wrapped tightly, but a bodycheck in the second period knocked him out of a close game. With Dorohoy unable to finish, the Bruins cruised to a 11-1 victory and a berth in the Memorial Cup finals. Six months later, the 5-foot-9, 155-pound Dorohoy joined the Canadiens at age 19, becoming the second youngest player in the NHL after Fleming Mackell of Toronto. The rookie saw only limited ice time in 16 games, recording no goals, or assists. He made his crack to the coach — some accounts have him saying he was using too short a stick to score from the end of the bench — and wound up demoted to the Dallas Texans five days before Christmas in 1948. He scored in his debut with his new team. While visiting a wealthy Texans supporter at his home, Mr. Dorohoy spotted a holstered set of revolvers. He spun them on his trigger fingers like an Old West gunslinger. The fan interrupted his play. “He told me to be careful,” Mr. Dorohoy told hockey historian Jon C. Stott in an anecdote included in the 2008 book “Ice Warriors,”“because they were loaded.” Forever after, Mr. Dorohoy was known as Pistol. The following season he was with the Cincinnati Mohawks. His coach, the great King Clancy, liked to tell a story, perhaps apocryphal, about a game in which his goalie was injured. Lacking a substitution on the roster, Mr. Dorohoy volunteered for the thankless task of stopping rubber. The coach winced when the fill-in netminder skated onto the ice with goalie pads strapped to the wrong leg. Soon after, Mr. Dorohoy arrived in British Columbia, where he would spend the bulk of his playing career with the Victoria Cougars and Vancouver Canucks. In the final game of the 1950-51 season, Mr. Dorohoy scored four points to grab the league scoring title with 29 goals and 58 assists. He helped lead the Cougars to the Pacific Coast Hockey League championship. A player who seemed always to be on the scoresheet, whether recording points or scrapping with opponents, Mr. Dorohoy became a fan favourite on the West Coast. In 1955, he joined older brother Walter, known as Ollie, on the roster of the Seattle Americans. The older Dorohoy spent 11 seasons as a top-scoring centreman with the New Westminster (B.C.) 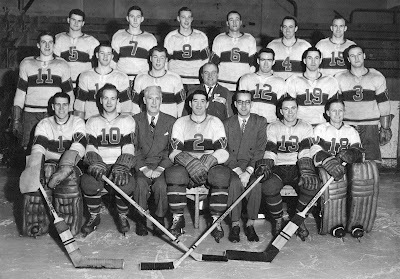 Royals, for whom he scored an overtime winner to clinch a league title in 1950. 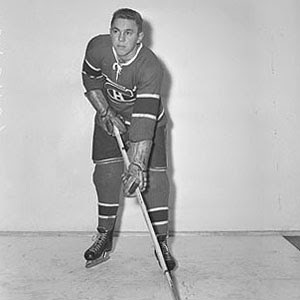 Eddie Dorohoy won a divisional most-valuable-player trophy for 1958-59 while skating for the Calgary Stampeders of the old Western Hockey League., scoring 109 points in 64 games. The award came with a $100 prize. In December, 1959, he was second in the scoring race when a heavy check by Seattle defenceman Les Hunt left him with a fracture above his right ankle. He missed a season and a half while recuperating. Many suspected his career was at an end, but he managed four more fruitful seasons. 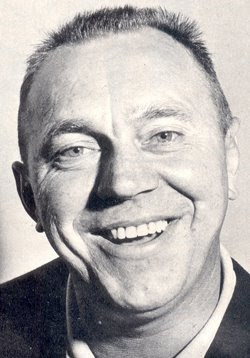 Mr. Dorohoy skated for the Los Angeles Blades, the Knoxville (Tenn.) Knights, and the New Haven (Conn.) Blades before winding up as a playing coach with the Spokane (Wash.) Jets. After hanging up his skates, he had success coaching junior players, most notably Juha Widing, Bill Fairbairn and Larry Brown of the Brandon (Man.) Wheat Kings, all of whom went on to NHL careers lasting longer than his own. Mr. Dorohoy worked as an assistant coach with the Los Angeles Kings in the 1970s. He managed a golf course in his home town before returning to Victoria, where he drove taxi for many years. The 1950-51 Cougars have been inducted into the Greater Victoria Sports Hall of Fame. During his time with Vancouver in the early 1960s, the forward was sometimes a healthy scratch from the lineup. On one such occasion, teammate Barrie Ross, sitting at the end of the bench because of an injury, remembers hearing from the stands a lone, leather-lunged voice yelling, “We want Dor! O! Hoy! We want Dor! O! Hoy!” Soon, the entire Forum crowd joined in the cry. When Mr. Ross looked over his shoulder, he saw Mr. Dorohoy in street clothes leading the chant. Edward Eli Dorohoy was born on March 13, 1929, at Medicine Hat, Alta. He died in Victoria on June 9. He was 80. He leaves two sons, two daughters, eight grandchildren, four great-grandchildren, and a sister. He was predeceased by a granddaughter and by three brothers, including Ollie Dorohoy, who died in 1997, aged 73. Great piece El Baracho. You give the best dead. Lots of milk! Thankyou for sharing this personality with me. What a colourful character, you brought him to life! Great work Tom. Thanks for keeping the memory alive of a great man. He will be missed dearly, especially his great one-liners. He was fun to watch in New Haven! This is one of the great blogs I’ve read today. Your site contains lots of good information and I’m sure many people will like it as I do. I would like to give this site a thumb up rating. Keep up the good works guys. I think I’m going to come back to this site regularly. Thanks.